Ready to take ownership of your swimming? Home / Ready to take ownership of your swimming? 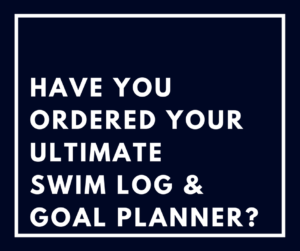 The Ultimate Swim Log and Goal Planner will get you organized and help you get your swimming goals on track! This is a personal toolbox for your season. Goals come in all shapes and sizes, but they don’t come with directions. 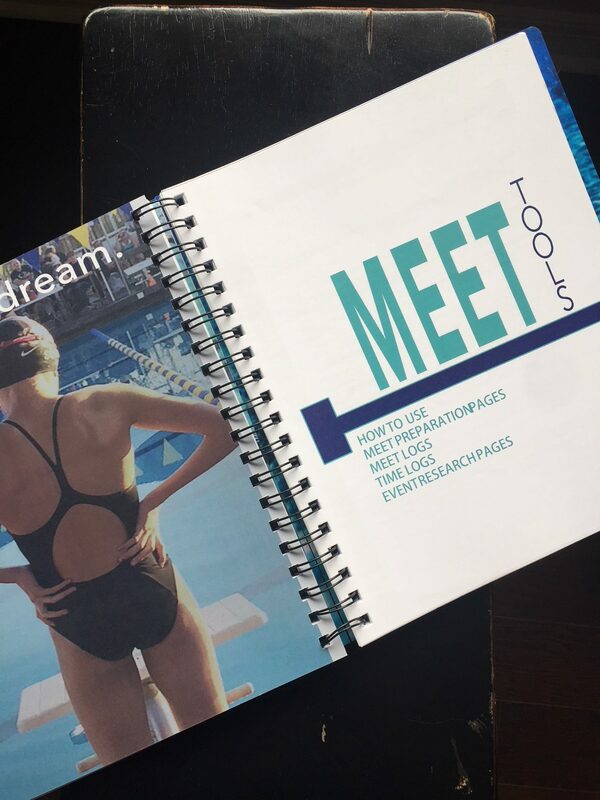 This book was written so swimmers could create a roadmap for success each season by tracking times, training and progress towards season and career goals. Swimmers take ownership of your swimming by writing down what you want to accomplish and develop a plan of action on how to get there. 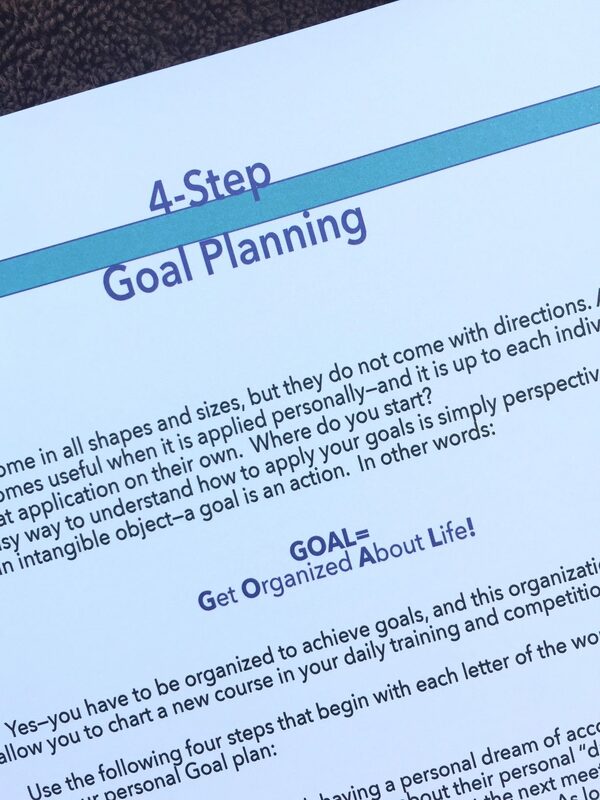 Experience the power of having a plan and tracking your progress. 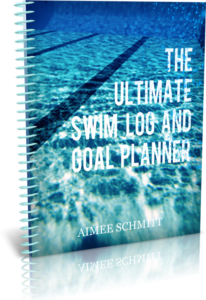 G.O.A.L.= Get Organized About Life = The Ultimate Swim Log will show you how. 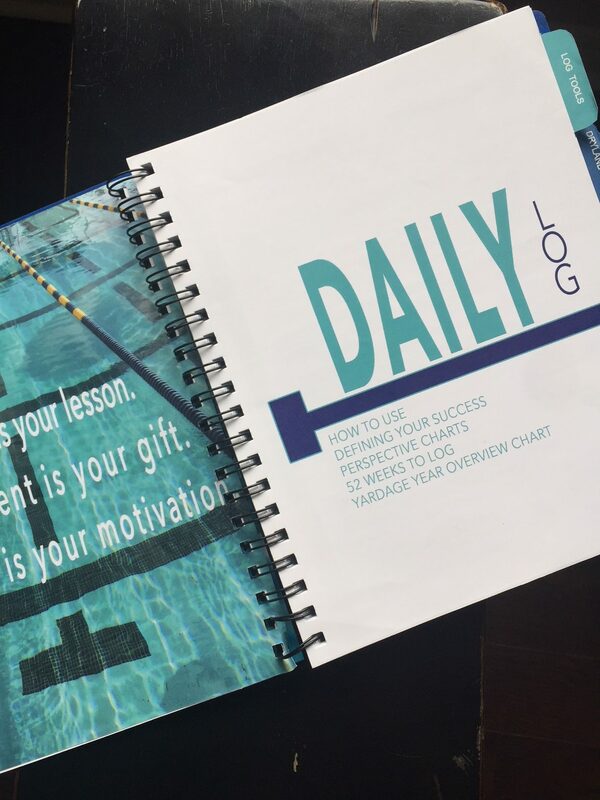 This newly updated version of the original book is built upon the same successful format as the first Ultimate Swim Log, expanding each concept to provide an even more interactive swimmer resource. 5-Tabbed sections help plan and track each season’s workload, goals and accomplishments. LOG TOOLS–Set weekly goals here, log practices, be inspired. 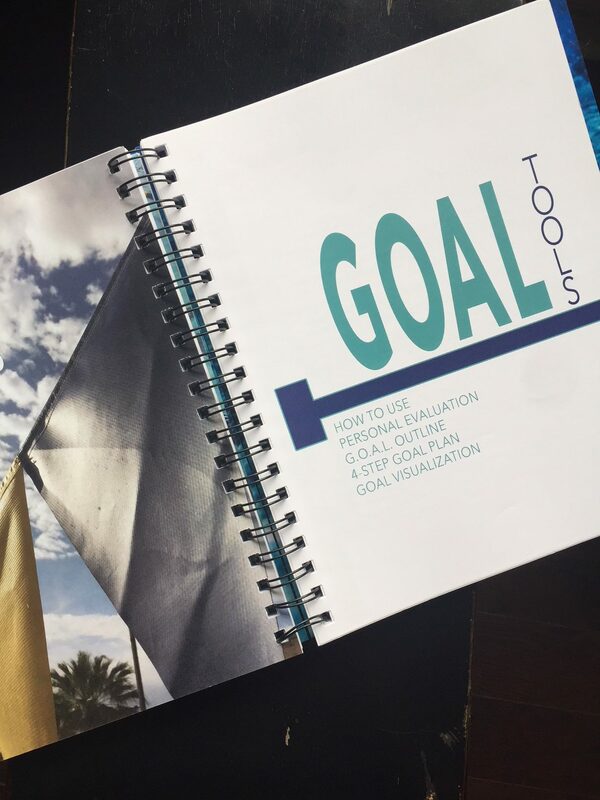 GOAL TOOLS–Put your dream goals on paper and then break them down into manageable steps. 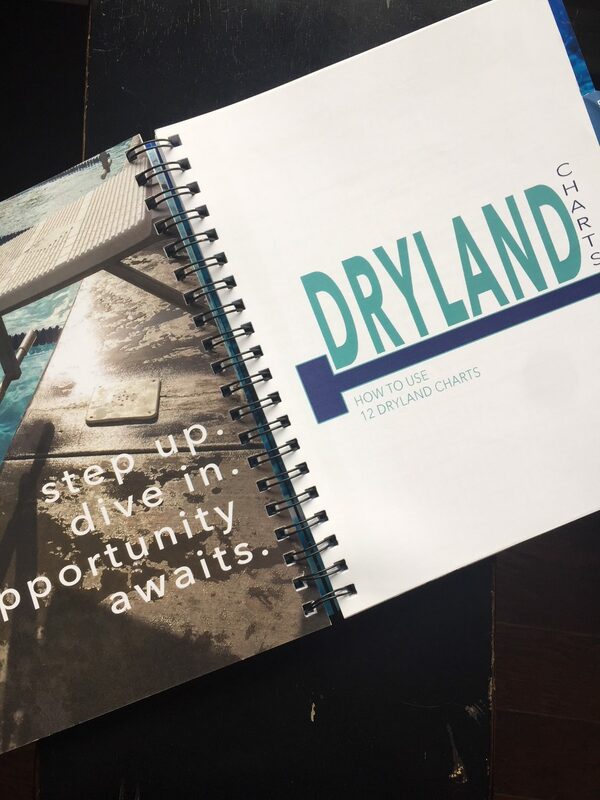 DRYLAND CHARTS–Track your strength training. MEET TOOLS–Plan your strategy for meets, visualize your race, track times and competitions. 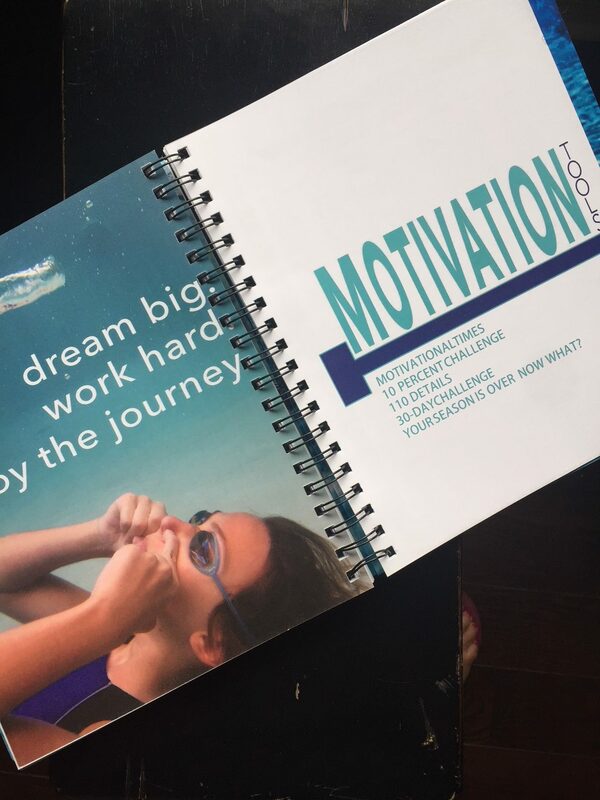 MOTIVATION TOOLS–Inspire yourself to reach new challenges. 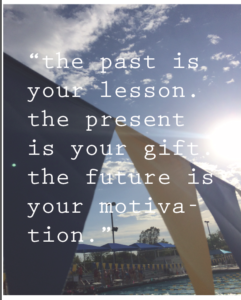 *Created by former USA Swimming National Team Member, Stanford National Championship Team Member, and avid believer in goal planning.